This "hassle-free" budget camera probably isn't much of an upgrade over your computer's built-in webcam. 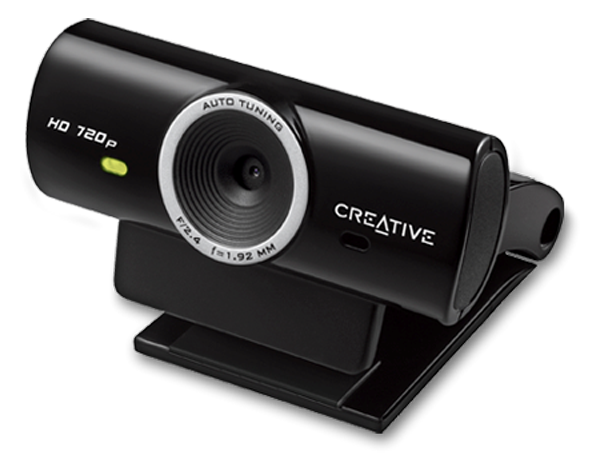 Creative typically has offered webcams to meet all needs—even if all you want is something affordable to replace your computer’s built-in camera with grainy video and tinny sound. That’s the target for the Creative Live! Cam Sync HD. Suggested for “hassle-free high-quality video chats,” this webcam would seem ideal for folks who want a simple out-of-the-box upgrade. But it’s really a reminder that you get what you pay for. The first thing I noticed about the Sync HD is how insubstantial it feels. The main camera body is about the size of a small thumb drive, and the entire camera comes housed in lightweight glossy black plastic. It doesn’t seem fragile, but it’s certainly not as robust as other webcams we’ve tested. The mount has a single hinge and can fit most displays, but it doesn’t achieve a very strong hold. The plastic slips, particularly on aluminum-bodied laptops. 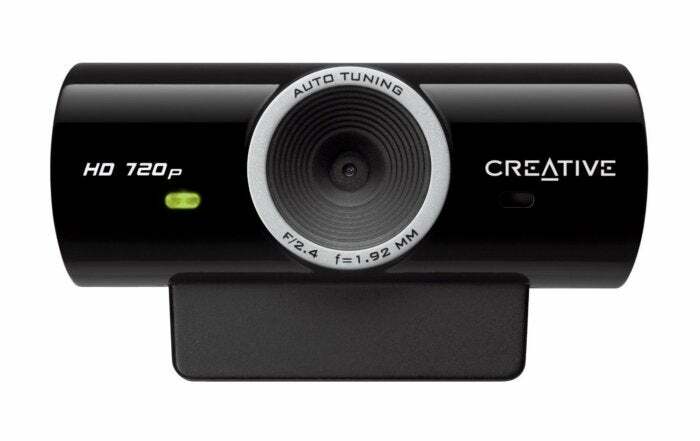 The camera delivers 720p video on Skype and other video-calling services at up to 30fps. 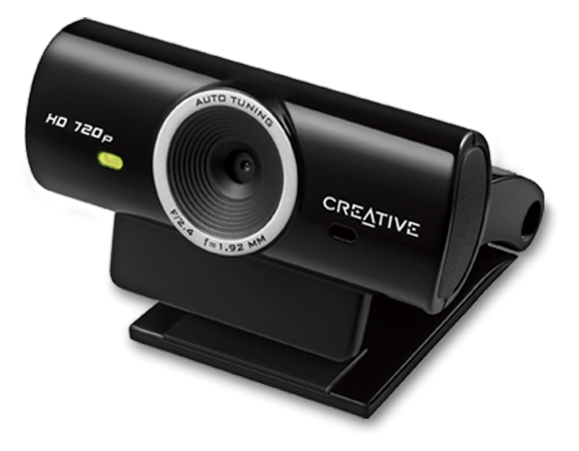 Don’t expect advance features: You don’t get autofocus, color correction, or on-board video compression, or any of the other advanced features that are increasingly common in webcams of all levels. Rather, it features a fixed-focus lens, a mono noise-cancelling microphone, and modest 3.7-megapixel still shots. The Creative Live! Cam Sync HD has good audio, but the video leaves a lot to be desired. The Sync HD does indeed require minimal setup. Plug it into any Windows, Mac, or Linux machine and the computer should recognize it and make it the default webcam. On Windows, you can download Creative Live! Central 3 software to fine tune the camera’s settings, add special effect to your video chats, and record and upload HD videos to Facebook and other social media sites. At this price point, I wasn’t expecting mind-blowing performance, and my experience with the Cam Sync met those expectations. Once you attach the Connect HD, you don’t have many angle options. It offers no rotation or vertical tilt, so you’re limited to the same straight-ahead shot you get with your computer’s built-in webcam. You also can’t mount it to a tripod—presumably that doesn’t qualify as hassle-free. I was surprised, however, that the video quality was so disappointing. The image was dark and dull, details were muddy (particularly in shadows), and skin tones tended to look blotchy. Images were generally noisy, too. More troubling, there was lag whenever I moved my head and the video tried to catch up. The image improved if I added more light to the environment but not dramatically. The camera’s microphone on the other hand, was more impressive. Audio was clear and natural sounding, and the noise cancellation filtered out most ambient noise. If your budget’s tight and you absolutely need a dedicated webcam, you can get by with the Sync HD for video calls on Skype or Google Hangout. But if you can scrape up just $10 more, you could get the Logitech HD-3000 and take a significant step up in video quality.